Modern medicine has advanced dramatically in the past century: Average life expectancy has increased from the mid-40s to the mid-70s today. But as medicine has advanced and people are living longer, children are more likely to live far away from aging parents. Nursing homes and assisted living facilities are popular destinations, but often focus on safety and routines at the expense of quality of life and human interaction. Harvard physician and author Atul Gawande argues that making mortality a medical experience is failing society. And he says end-of-life treatments often end up shortening lives instead of extending them. A Harvard doctor on a smarter approach to aging and dying. Atul Gawande on evolving toward a "retail" model of medicine, in which doctors lay out options for patients and they decide what they want. "On one level when there is just unbearable suffering … we are heartless if we are not willing to discuss or offer the possibility" of a prescription for aid in dying," Gawande says. But "I am very worried about the idea that the goal is a good death. The goal is a good life as much as possible all the way until the very end." Diane and Gawande talk about the death of her husband, John, who suffered from Parkinson's disease. Excerpted from “Being Mortal: Medicine And What Matters In The End” by Atul Gawande. Copyright 2014 by Metropolitan Books. All rights reserved. MS. DIANE REHMThanks for joining us. I'm Diane Rehm. Modern medicine has extended our lifespans by an average of 40 years in the past century, but along the way Harvard physician Atul Gawande says mortality has become a clinical experience that robs patients of quality of life. Gawande argues doctors and healthcare facilities need to shift their approach to aging and dying away from a regimented safety focus to one that fully engages the human spirit. MS. DIANE REHMHis new book is titled, "Being Mortal: Medicine and What Matters In the End." And Dr. Gawande joins me from the NPR studios in New York. I invite you to be part of the conversation. Give us a call at 800-433-8850. Send us an email to drshow@wamu.org. Follow us on Facebook or send us a tweet. Dr. Gawande, it's good to see you. DR. ATUL GAWANDEIt's great to be here. REHMAnd I should say to our listeners I am seeing you on Skype this morning, since you are in New York. You've said that this book, which is your fourth, is not just about having a good death, but rather about having a good life. Since we're all living longer, I think many of us are worried about having that good life as we get older. And I think that that's part of what's prompted you to write this book. GAWANDEVery much. You know, the goal in healthcare has generally been having health and safety as the key priority, that we want to, you know, survival and safety, that is our mantra. The movement saying it should be otherwise sometimes says, no, the goal -- we have to also think about having a good death at the end and I think that's the wrong goal, too. We live for more than just our survival. We want as good a life as possible all the way to the very end. GAWANDEAnd we want to know that the capabilities are there for us to achieve it, but what I've found both in my practice, you know, after more than 10 years as a surgeon, was I wasn't doing a very good job around making that possible for people and I didn't understand why. And then, my dad got diagnosed with a tumor in his brain stem and spinal cord, which was not curable, and I knew we had to find ways to do better than those two polar opposites. REHMAnd what did your father and your family decide in regard to that spinal tumor? GAWANDEWell, he did get, you know, aggressive treatment. We went for an operation that ended up fusing his entire spine from the base of his skull to the top of -- to T2, the second vertebra at the top of his chest. He underwent radiation therapy. But then, there came a point where he also decided chemotherapy was not what he wanted to do. And the conversation we had, that I found really effective clinicians have that I hadn't learned to have, was one that recognized that people have priorities besides just living longer. GAWANDEFor example, one colleague's father who had a similar kind of tumor to my father's, who was becoming quadriplegic like my father, said, you know, if I can watch football on television and eat chocolate ice cream, that's gonna be good enough for me. And that's what they worked on making sure always was there. My dad said that -- no way that's good enough for me. He was a very social creature. He wanted to be able to be socially interactive and he wanted to know that he could still continue to make a difference in other people's lives even as he was getting sicker. REHMSo he decided not to have further chemotherapy. How did that leave him then? Was he able to continue to function? Did he have the ability to have interaction with family, if not with patients and how long did that go on? GAWANDEWell, so what we had was a conversation that asked a few questions that -- I remember sitting in our living room and it was before he even had the surgery. And we said, well, what's your understanding of this condition? And he said, well, I know it's not curable, but it could be a very long time and that was true. What were his fears and worries? And his biggest fears and worries were not being able to talk to people, keeping his brain. He wanted to be who he was and if we took away who he was, he didn't want that. GAWANDEHe wanted to be able to, at that time, still be surgeon and so when he wanted -- he actually put off having the surgery until it became apparent that he was going to lose his surgical career. And at that point, he underwent the surgery. That bought him more time without quadriplegia. He underwent radiation therapy and then that didn’t work very well at all. He actually got worse on radiation therapy. It became so he couldn't walk very effectively anymore. He had trouble moving his hands. GAWANDEAnd at that point, the options became chemotherapy. I remember the meeting with his oncologist, a menu of eight different options all in front of us. Here we were, my dad was a surgeon. My mother, a pediatrician. I'm a surgeon. Three doctors and we still didn't understand what the options meant for his life. And so we brought it down to will these make what he wants to do -- will it take away his ability to do what he wants to do or will it lengthen his ability to do what he wants to do? GAWANDEAnd as we pushed the oncologist to get those answers, it became apparent that none of them were gonna make -- they were gonna make him have more suffering without getting to do the things he wanted in his life. He might live longer, but not get to have the reasons for living so that's when he chose to not undergo the chemotherapy and go on hospice. REHMSo what you're arguing, it seems to me, in this book, is that many physicians, be they surgeons, be they radiologists, would tend to say to that patient, I can give you longer life if you agree to undergo radiation or chemotherapy, but it may not be the quality of life that you expect or you want. And they, being not trained in anything more than doing what they are trained to do, would not add on that last part of the sentence. In other words, they say, I can give you radiation and I can help you live longer. GAWANDEYeah. You know, here, I have had these conversations with my patients before and the way I had these conversations, I'd say, well, you have option A, which is, you know, going to be a really tough road and it may not lengthen your life, but, you know, it has a chance of giving you more time, or you can give up. And I knew neither one felt like the right answer and I watched people have an end of life they did not want, but I didn't know how to do better. GAWANDEAnd what's interesting is we've changed what it means to be a doctor, over time, in the last half century. Fifty years ago, it was doctor knows best and the doctor would tell you what you were gonna undergo and might not even tell you the options exist or even tell you that you were -- your life was in danger. We shifted to what I call the retail model, give you the options, Option A, Option B, give you the pros and the cons and then, hey, you decide. What do you want? GAWANDEBut people would invariably say to me, well, what would you choose, what would you recommend? And I was literally taught to say, well, that's for you to decide, not for me. What people want is a counselor and that's what we're evolving towards. You can't have a counselor who doesn't understand your life and so when my father was able to articulate, we had conversations where he could say, well, the tradeoffs I'm willing to make are that, you know, certain things, but not if he had pain, not if he couldn't still Skype and talk to people, not if he couldn't be at home more than in the hospital. GAWANDEAnd so we chose a path that was hospice. He ended up four months on hospice and in that role, he was able to be at home. He was able to have good pain control. He continued to have dinner parties, continued to have -- he did a lot of work with Rotary Foundation and charity work around his village where he came from in India. And he could still do that and even as his life was failing, all the way to the end, we had this life where that was made possible. REHMAnd so even at the end, he did not experience pain. Was he able to communicate with his family right to the end or was there a period when he began what I've called the long glide into unconsciousness? GAWANDEThere was the long glide. There was a couple things that happened. One was that -- and it brought home how the priorities matter. He became unresponsive for this moment in time and my poor mother, faced with her husband not waking up, decided to call the ambulance to help revive him, knowing that this was not going to bring him back forever, but just wanting that little bit longer. We were on the east coast, my sister and I, and so the ambulance came. GAWANDEThey brought him to the hospital. He was able to be revived and brought to and in that day in the hospital, he was very clear. He was miserable there. He was not home and he said, "check me out of here" and so we took him home. REHMAtul Gawande, he's general surgeon at Brigham and Women's Hospital. His new book is titled, "Being Mortal." Short break, right back. REHMAnd welcome back. Dr. Atul Gawande is with me. He is a professor at Harvard Medical School and the Harvard School of Public Health. His fourth book, just out, is titled, "Being Mortal: Medicine and What Matters in the End." Dr. Gawande, just before the break you were talking about the fact that your mother, when she saw your father go into non-responsiveness, called an ambulance that took him to the hospital, brought him back. He spent one day in the hospital and said, "Not again." REHMNow, the question I'm sure many people have is did your father have an advanced directive for non-resuscitation and did your mother know that, but act out of love and compassion in any case? GAWANDEWell, he did have the order that we -- we're not to resuscitate. So he did not have -- he was not shocked. He was not put on a ventilator. They gave him fluids and gave him medication to try to reverse the pain medicine he was on. And they did an x-ray that showed that what he was now dying from was pneumonia. And the -- it was out of love and fear of losing him that she wanted to make that move. GAWANDEWe -- when he woke up you began to see how difficult it is for people in medicine to do what even he was asking for. So he said, "Give me my pain medication, even if it means I don't wake up." And they were afraid to do that in the hospital. They wouldn't give him pain medicine at first, then they'd only give him a half dose. And by 4:00 in the morning he was in terrible pain and just said, "Get me out of here." And we did. GAWANDEMy mother, my sister and I, we all agreed. We got him home by 8:00 in the morning. And at home he had four more days where we made sure he had his pain under control and he actually got to continue to do the things that mattered to him, connect with people he loved, be able to still think and talk about some of the things that were his legacy. And I think in a way it was lucky because my sister and I were able to be there and have those last few days. GAWANDEI think what we recognize out of that kind of experience is this larger idea that in medicine, if we understand what people's priorities are, they might -- they vary from person to person. For him, it was being home more than the hospital. It was making sure his brain worked. You know, for other people, it's that they just want to have a little time with their pets. Or they may want -- have a life project that they want to bring to completion. GAWANDEI tell the story of my daughter's piano teacher. And she went on hospice. And her biggest goal was to keep teaching the children piano. And she taught my daughter, her piano lessons, even while she was on hospice and had her last recital right before the very end. That is what we can make possible. REHMIndeed. But, on the other hand, as we live longer, most adults live not necessarily close to children, to family. We're moving, living all over, depending on where we can find work. The question becomes, when your family is not nearby and when you can no longer take care of yourself, many people do turn to nursing homes or assisted living or something of that sort. And you're concerned about how these institutions care for elderly and sick patients. GAWANDEYeah, the really interesting thing is once you realize that we, with our medical values, don't necessarily ask people what priorities they have besides just living longer, you realize this is not just about the end of life. In fact, half my book ends up tracing it further upstream to these moments when your quality of life becomes something that starts to narrow in certain ways, when you're talking about a parent, as I do in this case, or an grandparent who ends up not being able to drive their car any more or starting to have falls. And they suddenly need help. GAWANDEWe assume, in life, that, boy, that's when your purpose disappears, when you can't have a life worth living. And then we say, well, just give me a place that I can make sure my mother safe. You know, you visit these places and they are like hospitals. You know, the nursing homes have become like clinical places because safety and health, they will tell you, is their first priority. But, in fact, safety is what we want for those we love, but autonomy is what we want for ourselves. GAWANDEWe all live for something more. So you go into these places -- I tell the story of people who go into nursing homes and find that, you know, their shoes are taken away because you're not allowed to wear heels because they're not safe, where you can't have a drink because it's not safe, where you're told to only eat pureed food and no soda because it's not safe. And guess what? People are miserable. They're bored. They're lonely and they feel helpless, that there is no purpose to their days when they're only goal is just safety and survival. And that can change. REHMNow, do you see any -- do you see a difference between assisted living facilities and nursing homes? GAWANDEI tell the story of the woman who founded assisted living, a woman named Karen Wilson -- Karen Brown Wilson. And she was reacting to the fact that her mother had a stroke and ended up being in nursing homes and her biggest complaint was she had no control over her life, couldn't control when she woke up, couldn't keep her magazines that she loved, all of her chotskies and knick-knacks because that wasn't there. GAWANDESo she created assisted living out of the belief, you know what, a home is a place where you can lock your door, where people assist you with what is your biggest priorities for a life worth living and make it possible for you -- even if you don't need -- even if you need help. Assisted living, ironically, has been sucked up by our demand that they prioritize safety and health. And so even now -- now it's been two decades and Karen Wilson will say that there are places that have achieved the promise of assisted living, where they're actually assisting people with living, but most of them have not. GAWANDEAnd that is because we, as the children of the elderly, don't, you know, they're -- we're the ones who often are the ones who get marketed to. You know, you walk into these places and they point to the -- how safe everything is, and how there's a fitness center. But -- and there's computer station so your parents can go online, but no one asks, how lonely are people here, how happy are their days, are they able to do the work and have the connections that matter to them the most? And that is not what we've maximized. REHMSo part of what you're talking about is how these facilities are created, directed, managed, but you're also, Dr. Gawande, talking about medical education for young people and how they view the aging process as sickness, rather than simply as a part of life, and treat it as sickness. GAWANDEYeah, I can only describe what I saw in my own training and then what I see as it goes on, which is that I never learned about mortality in medical school. I had a body that I dissected. But it was out of the desire to learn how to fix everything, out of -- that we would learn the problems of the body and then the purpose was to make death avoidable. That is changing. Medical schools are starting to incorporate it, but still 97 percent of medical schools don't teach people about geriatrics. GAWANDEAnd this is a fundamental change we have to make out of a belief that what we do in medicine is not just help people live longer, but that we also can deploy our capabilities so we can help people meet their priorities in life even if -- as we all are -- they're going to die or find limitations in their life. REHMSo how would you change the medical education that is being given about aging even now? How would give -- how would alter that education? GAWANDEIn some ways I tried to structure the book so that it helps describe some of that. There's a chapter on what actually happens to your body as you age. What happens to your teeth, what happens to your eyes, what happens to your arteries, why does aging -- what changes does aging make? Then second, understanding what -- how do you even begin to talk to people about the aging process, how do you help people cope with it? And the answers are mostly that you have to learn to ask the right questions. GAWANDEIt's not about facts that you want to give. You want to understand what is a person -- you have to, you know, one of the things I learned was there were a handful, just five basic questions that you can ask that can make a difference in somebody's life. You just ask them, what's your understanding of your health? What are the fears and worries you have for the future? What are the goals that you have if your health worsens? What are the tradeoff you're willing to make and not willing to make? GAWANDEAnd just by having that conversation and listening and learning people's answers you start finding out the directions that you can use, medical capabilities, to preserve. Or, if you're in a nursing home, you can find out what matters to folks. I describe people who have revolutionized nursing homes by allowing to -- people to have pets, allowing people to have door locks, even though they are "theoretically unsafe." In fact, they found these abilities to give people things they care about and control over their lives can increase their longevity. REHMSo you have talked about new experiments with assisted living facilities, where you might have groups of 16 or so living fairly communally, but with their own private rooms, yet having a central kitchen, having some communication with each other while they continue to have that safety, presumably. GAWANDEYeah, I visited one of these revolutionary places. They're called Green Houses. And their design is to build homes for care of the elderly, that are designed to look like homes and really be like homes. So what are the features of a home? Well, instead of long hallways with 60 people on them and people slumped over in their wheelchairs and shared rooms with someone who, you know, you haven't had to have, you know, a roommate since you were in college. GAWANDEInstead these are grouped to no more than about a dozen people. That instead of being situated around a nursing station, it's situated around a kitchen. You allow the elderly -- even people with dementia -- to go to the refrigerator and get food if they want to. You set up the schedule so you don't have to wake up at 7:00 a.m. and be in the pill line by 7:30 and be in the shower at 8:00. You allow people to set their own schedule. GAWANDEIf someone wants to sleep during the day and be awake during the night, you make that possible. These aren't things that cost money. These are -- the Green Houses are all designed so they actually can be managed on the amount of money that states provide under Medicaid. And they were succeeding. They've built them in every state in the country. REHMAnd you're listening to "The Diane Rehm Show." Dr. Gawande, I wonder if you have read Ezekiel Emanuel's piece in the September "Atlantic," where he says -- he explains why he hopes to die at 75. An argument, he says, a preference that drives his daughters crazy, drives his brothers crazy. He is, of course, the brother of Chicago Mayor Rahm Emanuel. But he talks about the declining ability of the individual over the age of 75. REHMHe makes the case that we make our best contributions long before 75. Our abilities decline. The chances of both dementia, Alzheimer's increase significantly after the age of 75. So he says he doesn't want to live beyond that. I think he already has, by the way. But I wonder what you think of his arguments, if you have read his piece. GAWANDEI did. And I so disagree with it. Zeke is younger, still, than that. And there's this fascinating research I read about by a Stanford professor named Laura Carstensen, where she's been following people for more than 20 years as they age in their life. They carry beepers. And whenever they get a page, they record their emotions, their desires. And what she's discovered is that what you want when you're 45 is very different from what you want when you're 75. When you're at a certain age, you're focused on achieving and getting and having. GAWANDEAnd when you are more aware of the finitude of your life, you care about the intimacy of your relationships and being connected to loved ones, having some small and final contributions that you might be able to make. And at 75 she finds that people are actually happier then when they were 45. They're capable of emotions like poignancy, meaning a mix of both the negative and the positive at the same time. Depression, oddly enough, goes down unless you confine people and take away their autonomy. GAWANDEAnd so he will find in all likelihood that he's living for different purposes then just his contributions and achievements in the world. He will live for the relationships he has. But -- and if not him, that's what many people end up doing. REHMHave you talked with him since he published his piece? GAWANDEI guess I will have to now, huh? REHMI think it would be interesting for the two of you to have that conversation. I tend to agree with you. Somehow I don't see a cut-off age where one fails to contribute to society in one way or another or to the well-being of others, however near or far. Short break here. And when we come back, we'll open the phones, your questions, comments for Dr. Atul Gawande on his book, "Being Mortal." REHMAnd welcome back. Here's a first email, this from John who is a surgeon. He says, "How are we going to address end-of-life care when we physicians are perversely incentivized to do stuff to people. We regularly see many invasive procedures performed in the last few days of life even in patients with terminal conditions. How many biopsies are obtained on patients who are not even candidates for the available treatments? A thoughtful consultation pays little. An invasive procedure pays a lot," Dr. Gawande. GAWANDEOh, he's hit it. You know, we're still having this debate about whether we want to pay physicians adequately for taking the time to have conversations with people about the decisions and their consequences. And I'm very sorry that's been so politicized. Having these conversations -- I'll tell you a study that brings this home. GAWANDEIt's a trial that was done at the Massachusetts General Hospital for patients who only had on average 11 months to live with stage four lung cancer. Half of them received usual oncology care. The other half was also given time with palliative specialists to have conversations about what their aims and goals were. That group who had the conversations had one-third less chemotherapy. They stopped chemotherapy sooner. They ended up choosing fewer days in the hospital, less aggressive therapy at the end of life. They had less suffering at the end of life. GAWANDEAnd here was the kicker. They also lived 25 percent longer. So it was just bad decisions and not making sure that we prioritize giving people the time as well as putting them with people who had skills in having these conversations. It is short sided. REHMAnd here is another email from Amanda on that very point. She says, my father was diagnosed with a rare and terminal cancer five years ago. He was 76. His oncologist said to him, I can treat you but I cannot cure you. My parents were not ones to question a doctor and therefore the doctor started an aggressive form of oral chemotherapy treatment. My father never had a pain-free day for the rest of his life, which was five agonizing months. We were new and unfamiliar with dealing with a cancer diagnosis. In hindsight, had my father been given a clearer explanation of his diagnosis I know we would have opted for a less invasive palliative care option." GAWANDEYou know, even with our own oncologist for my father, we had to push her. One of the things that was hard to ask her with my father and mother in the room, but we did, was, you know, what's the worst you've seen as not just survival but also how people feel and do and what's the best you've seen? And the best she said was two to three years and that he would still be suffering with progressive quadriplegia. He, in fact, only had about five months at that point. GAWANDEBut once he understood, and he was thinking ten, fifteen years ahead, it really changed the perspective. And he could then emphasize, well here is what my priorities are. So if we have doctors and nurses who aren't all able to emphasize those priorities, that doesn't mean we can't say, well, here's what matters to me the most besides just living longer. Will I be able to have my brain intact? Will I be awake and alert? Will I not have pain through a whole day? Those kinds of things that might matter to you we have to voice them if our doctors aren't asking. REHMAll right. Let's take a phone call from Lisa. She's in Purcellville, Va. Hi there, Lisa. LISAHi. We've had a lot of experience of this in our family. I had -- my father had leukemia in his 40's and my grandmother had kidney cancer in her 70's and my father-in-law, another kind of cancer in his 80's. And the one thing that I saw consistent among all three was that we really needed what was an internist position really but we needed a central person, primary care physician or somebody like that that could assimilate the different specialists that we were sent to, all the different information that we were given from these different people. LISAIt was very difficult as nonmedical providers to take all the different information that you got from all these specialists that you were sent to, tests that you got and really make those kinds of life decisions based on that because the specialist office you're sitting in is going to give you their take on it only because that's what they do. And they do it well but they don't see the bigger picture. And it's gotten more difficult as more specialists have come on and more kinds of medical oncology have gotten more and more progressive. And it's going to be even more difficult as we go on when each of these people has less and less time to spend with each individual patient. REHMAll right. Lisa, thank you. Dr. Gawande. GAWANDEYou know, it's interesting. It's like we need a project manager, you know. Our medical care -- because knowledge has become so complex, there are -- everybody has just a piece of it. And the major mistake is the failure to make clear what our goal is. And the assumption that everybody has walking in is that the goal is survival as long as possible, regardless of the consequences. GAWANDEAnd unless we articulate, well, I want survival as long as possible, as well as, as long as my priorities are met, that you're not sacrificing who I am. And let me tell you who I am. So we do need that project manager so to speak. We need to appoint someone as you are the one in charge to make sure this all comes together. But also need physicians, clinicians across the board who are able to say, help us state here are my goals besides just living longer. Here's what makes life worth living to me. REHMAll right. And to Bloomfield Hills, Mich., Stanley, you're on the air. STANLEYI was Dr. Kevorkian's doctor for the last 20 years of his life. The answer to many of these problems is an enhanced doctor-patient relationship. At this time we fracture that relationship -- or that relationship is fractured. You call a doctor and the answer is they say, if this is an emergency hang up and call 911 or go to the nearest emergency room. The doctor -- we should be enhancing these doctor-patient relationships. STANLEYThe insurance company says, this doctor's not on our panel and we can't take -- you can't use him or employ him. For instance, the patients have that Kevorkian advocated was rejected. The morality of ethical care is overcome by -- economics trumps that. REHMAll right, sir. Do you believe that, Dr. Gawande? GAWANDEI do. The suffering he describes is from fractured relationships and sometimes just plain inhuman relations. And I tell the story of going -- and this has been with us for a long time. I tell the story of one of my favorite and I think most important books I got to read was "The Death of Ivan Ilych. By Tolstoy where even in 19th century Russia he's describing the suffering of someone where the doctors just are always promising, where there's this one little thing more that you can try, while no one acknowledges that this man is suffering and dying and that he wants some love and some caring. And no one is providing that. GAWANDEIt is heartbreaking and I see it over and over. I see in the patients that we take care of. I saw it at times with my father. But I also saw that there are ways to turn it around and that there are people who genuinely care in the profession and outside the profession who are making it different. REHMDr. Gawande, what is your position on aid in dying? GAWANDEYeah, assisted suicide as it's sometimes called. You know, one thing is that on one level, when there is just unbearable suffering being -- that it is -- we are heartless if we are not willing to discuss the idea and offer the possibility of a prescription like provided in Washington State and Oregon to let people bring their life to a close. But I am very worried about the idea that the goal is a good death. GAWANDEThe goal is a good life as much as possible all the way to the very end. And it's a very small percentage. It's been less than one percent of those who die who have ended up taking those options. When they get this prescription, which gives them some pills that they could take if it becomes unbearable, less than half end up choosing to use those pills because sometimes just knowing that it's in your control can be enough. GAWANDEBut I think this larger idea, you know, assisting people with living as they cope with the narrowing of their life is much harder than assisting people with death. And that's what we're not doing adequately. REHMDo you believe that like gay marriage, aid in dying is something that will begin to find its acceptance across the country, not necessarily where a physician, him or herself, is present at the dying moment, but that the patient is provided the wherewithal to take his or her own life if he or she so chooses? GAWANDEI think it could become more accepted. You know, we have three states where people are having experience with it and they are not becoming death panels. At the same time I think that I'm concerned that we're focused on this concept of a good death at the exclusion of the concept of a good life all the way to the very end. GAWANDEWe have -- you know, in the Netherlands I describe that they have brought in assisted death. And they were also -- so they were one of the earliest to bring assisted death but in Europe they were one of the last countries to have the development of hospice and palliative care. And that to me is a tradeoff that we would be terrible to execute on. This is not the way we want to be. Now, in Washington State and Oregon they have some of the best palliative care and hospice care in the country. And sometimes even then the suffering from certain diseases is really just unbearable. REHMAnd you're listening to "The Diane Rehm Show." On that very point, Dr. Gawande, my husband had suffered from Parkinson's disease. He was in assisted living in quite comfortable circumstance. But he finally said to his doctor, I can no longer use my hands, my arms. I can no longer feed myself. I can no longer stand. I can barely swallow. I want to die. I am ready to die. He was 84 years old. And of course in a nursing facility he could not be helped to die. Hospice had been brought in. REHMMy husband opted to stop eating, stop taking fluid, stop taking medication, which medication was doing absolutely nothing in the way of assisting his Parkinson's disease. I totally understood his decision. Can you? GAWANDEYou knew who he was. REHMI knew who he was. GAWANDEAnd you knew what he had lost. And you could be the one there with him. That is how you knew it was the right thing. REHMAnd I think for each individual -- and I do believe that that's why this aid in dying movement may move forward, I think for each individual it's a different story. And doctors must learn to listen to those stories, take the time, as you say, to learn not only to listen but to provide consultation, to provide advice beyond doing more. GAWANDEYou experienced exactly what I saw even with my own father. Here he was checked into the hospital where he worked with nurses he knew, doctors he knew. They knew him inside out. He would ask for pain medication and they wouldn't give him even half a dose. Because of inability to honor what he saw as his priorities, I think we're on our way to changing that. GAWANDEI'll just -- one statistic. 1950's more than half of Americans died in their home. By the late 1990's it was just 17 percent who died in their home because we had so much promise that we thought is there in the hospital. Of course we wanted all of that capability and technology. 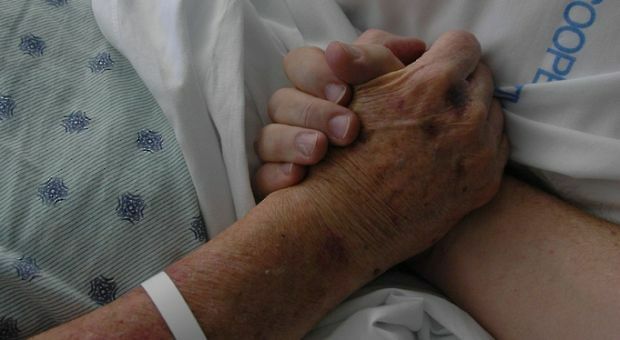 But today, just in the last five years, the number of people who die on hospice either at home or in a hospice setting outside the hospital has reached 45 percent and it's climbing. GAWANDEWe are on a trajectory to a new place that honors people's priorities. REHMI'm so glad to hear you say that, Dr. Gawande. And I'm so glad to have had the chance to talk with you this morning. Thank you. REHMAtul Gawande. His new book is titled "Being Mortal: Medicine and What Matters in the End." Thanks for listening, all. I'm Diane Rehm.